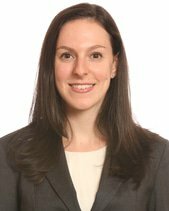 Mariel Bronen focuses her practice on white collar, complex commercial and securities litigation matters. Her representative matters include cases in state and federal court. Ms Bronen was a member of the Dechert litigation team recognised as part of the Financial Times’ 2014 Top 40 North American Innovative Law Firms for their representation of Argentina’s two largest creditors – with combined claims for over US$3.5 billion – in multinational litigation and judgment enforcement proceedings. The matter concluded in a victory before the Supreme Court of the United States.